Why learn to read early? Two-thirds of students who cannot read proficiently by the end of the 4th grade will end up in jail or on welfare. The fourth grade is the watershed year. Of course not every child ends up a statistic even if they don’t learn to read early, but why should we leave it to chance when teaching our children to read early is easy and effective? Hi Angie. How old is your child now? Use of flash cards depends on your child’s age and how receptive he/she is to it. If he/she is responding well, I would, if he/she resists, then don’t push it. I did flash cards with Gavin on and off – just followed his interest. I also read to him a lot – all kinds of books. Try to get in at least three books a day and more if your child is happy to read more. Again this depends on your child’s age and receptiveness to books. If your child has trouble sitting through the entire story, it might be too long so choose an easier book with less words. You can also look at the pictures and give your own abbreviated version of the story and point out things in the pictures. The latter method is less about teaching your child how to read but more about getting him/her interested in books and reading. I used to do that with Gavin when he was very young. Gavin is four plus. He could recognise some words since he was two plus. He has always been very interested in books and he loves to write messages so I just feed his interest. There is no age that your child must learn to read by, but early exposure to books and reading is good. 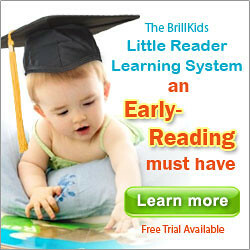 The earlier you start, the easier it is for your child to learn to read and the more likely he/she will enjoy it. Most recommendations is to start teaching reading at about 5 years old because the belief is that children are not ready to read before then. This misconception ends up making the process of learning to read harder for children. When children struggle to read, learning is hard. I can still remember my own experiences learning to read at about the age of about 6. I didn’t enjoy it and I was lazy to practice so it is a good to see Gavin eager to read books on his own. With teaching anything to your child, there will always be a lag between when you start teaching and when you start to “see” results. So don’t give up, just keep going and you child will reward you by showing you what he/she has learned. I am seeing Early Litereacy in another prspective. I agree strongly to early literacy, but the question of amounts of the parents’ focus from birth to 3 should be their prior concern. Normally this can be done in 2 ways from birth to 3 years old : First is to focus on words on flash cards and phonics, such as recommendation by many children commercial reading centre nowadays or second, to only do profuse reading. BUT I only do profuse reading to V, my daughter, intentionally from birth to 3 ½ years old. Only when she reached 3y7m then I used approximately A MONTH to introduce phonics to her, can she read early? I would say Yes and No. YES because she could read at age of 3y 11m, NO because she couldn’t read and recognise words at age of 1. Does she understand? I would say yes because that is how she read and tries to teach me back. The pros is she is trained to read variety of books from the very easy to difficult perhaps books of teenage age since birth to 3+, the cons is she is unable to recognise words at a year old but only able to read at age of 3y 11 m.
Does it make any difference to me? Yes, I have killed at least 3 birds with one stone from birth to 3+ i.e. (1) I have trained her memory while I do constant speed reading to her since birth that explains why her memory has been amazing, (2) I have saved a lot of time to teach minuscule skill of phonics and word recognition to her, look at the non-hyeroglyphic nature of English language (3) last and more importantly, I have broaden my child’s reading interest from children’s story to other nature that I think she ought to know being a human in this planet. So, I think save the time for the best is the most ideal. I think by the standard definition of literacy, your daughter is an early reader. As I have written before, the general recommendation has been to start teaching reading only around 5. I also feel that it is difficult to measure the output of a child because some children may know but simply choose not to display what they know. Just because your daughter did not appear to be able to read at 1 might not mean she couldn’t read. She may simply have chosen not to show you she could. As for the most ideal time, I think it is difficult to identify because of each child’s individuality. Early exposure can help to increase interest for later learning. Additionally, your early input would have provided the foundation for more rapid learning later so I wouldn’t discount it as being fruitless. I think she could be considered as an independant early reader ONLY at 3y9m, started E B’s book on 3y11m, prior to that I was still required to sit beside her unless she wanted to momerise the book’s contents. So, V is strictly the by-product of Shichida’s recommendation of at least 5 books a day to the absolute exclusion of words flash cards/phonics until 3y7m, my initial intention was to save time, to buy time to do others. More often than not I was asked by teachers, parents and even right brain educationist this question of : “How fast she pick up ?” That prompts me to think if right brain education goes in-tandem with time, to certain degree I would say yes, to be honest, she only used up small amount of time, mostly a night’s time to fully memorise reading matrials thrown to her, such as your stones cards, States’ flags. That is why I think this method perhaps is the best way to teach and to save time. I like your stones cards and more challenging for their remarkable similarities between stones besides world flags, State’s flags, world figures and moons photos. I just wanted to share what worked for me and my children. I never tried to “teach” them to read, but we ALWAYS read books together since, well since before they were even born! We read every single day and it was, of course, the most-anticipated part of our bedtime ritual. What I did to help them recognize letters and words was to label everything in the house, at their eye-level: stove, cabinet, door, wall, books, table…you get the idea. In addition, I made “toys” for them to play with everywhere. They had laminated letters in the bathtub which they could stick to the wall when wet, they had the traditional wooden blocks as well as some plastic ones cut into the shapes of the letters, a felt board, magnetic letters, etc. We wrote in the sand, made shape books, designed posters, cut out cookie dough with letter-shaped cookie cutters. We made letters and words tactile as well as visual. My children are 14 months apart, and by the time my daughter was writing it was actually my son who taught her to do it! He practiced with her all the time and they were writing stories together before they were in school. Now my son had a different learning style; he insisted on having every unfamilar word correctly spelled out for him so he could write it in his books. My daughter, on the other hand, preferred to do it her own way and wrote everything phoenetically. I admit I worried a little bit about this, afraid that I might have been setting her up for a struggle in later years, but she outgrew it on her own in a short time, absorbing the correct spelling of words as she continued to read along with me in her books. We homeschooled in this manner for a few years until they both chose to attend public school. The end result was that my son was an advanced reader when he started 3rd grade, and my daughter was promoted to 2nd grade after they tested her reading skills within the first week of school, thereby skipping 1st grade altogether. Allowing them to learn to read organically was the best and easiest way to “teach” them. Just as we “teach” our children to talk by simply doing it, teaching them to read was painless and they have remained exceptional students ever since. I think the most important factor is to read to your kids all the time, be enthusiastic about it, and never restrict what they choose to read (as far as skill level; of course, steer them away from the adult sections in Barnes and Noble!) I never once told my kids that a book they chose was too “old” or difficult for them; even if it was, we just worked it out together. I firmly believe that most children can learn to read this way- after all, they learn everything else in a similar way. Why wait until they are at the “proper” age to learn, when, by then, it could become frustrating for them if they aren’t “keeping up?” I also believe that children who might be struggling with letter recognition might benefit from the tactile approach to letters and words. it’s not only fun but it reinforces the shapes and sounds of the letters. Dawn – thank you for sharing your experiences. I’m sure they will be very valuable to other readers. There is a book titled “The Read Aloud Handbook” which advocates exactly what you are saying – that if you read books with your children frequently and regularly, they will eventually learn to read without being taught to read using conventional methods. It makes so much sense because we don’t really teach children to talk – at least not in the way that we would teach an older child or an adult how to speak a new language. Small children learn everything through observation and without someone specifically “teaching” them so it makes sense that they would also be able to learn how to read in the same way. FS – it is interesting what you have shared. It is something I have been thinking about quite a bit lately. Will write more about it in another post. Yes Dawn, I agree with you that we don’t need to “teach” them to read but to read constantly to them since birth, that is also how my daughter develop her reading skills, effortlessly. She likes to scribble her own, she likes to write her own story, sometimes invented her own word such as “cilien” ie numbers more than trillion, numbers with 65 zeros, her explanation and so on. So I think, at this juncture, perhaps I could confidently say that children could actually learn by themselves once we prepare them with solid foundation since young, I mean since birth. Shenli- In fact what I intent to converse in my comments is that to use up baby’s precious times to trying to achieve reading thru words flash cards or phonics since birth as advocated by most of the children commercial reading centers nowadays is practically quite a futile job. FZ – I am not so sure I agree that teaching baby to read using flash cards uses up baby’s precious time. Flash cards don’t take long – about five minutes a day? For a child like gareth who can’t sit still, it works well because he used to like taking my books so I couldn’t even read to him. I think the time spent exposing him to words through flash cards has been a great way to inculcate an interest in words and reading – especially for a child like Gareth who is constantly on the move. I guess in the long run, my aim is not to teach him how to read in the shortest time, but more to inculcate a love for reading. And I feel that the younger you start, the easier it is.